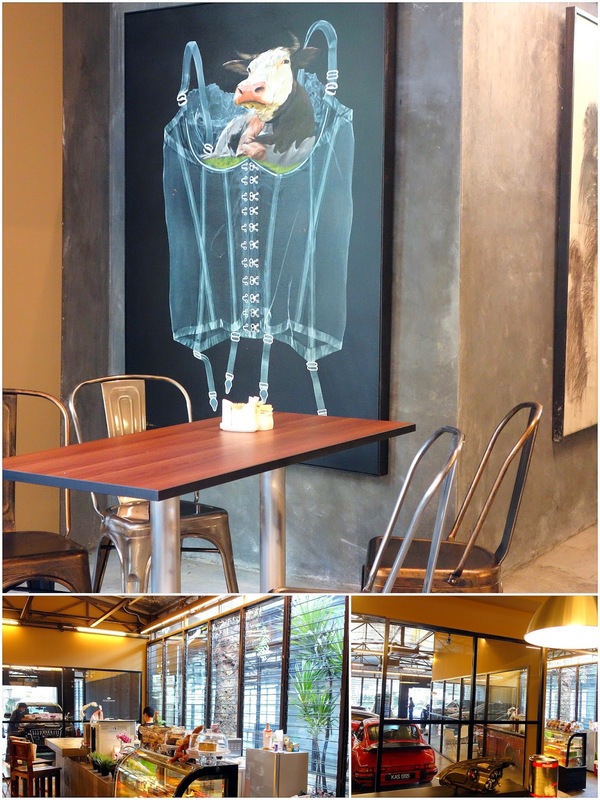 Bangsar's Hidden Cafes, Part II: This month, Bangsar welcomes not one, not two, but three new cafes hidden in unlikely locations, each extremely different from the others. This one, Monkey Garage, is fuelled by both the passion & the playfulness of its co-founder Farah Janis & her two partners, all of them born in the Year of the Monkey. 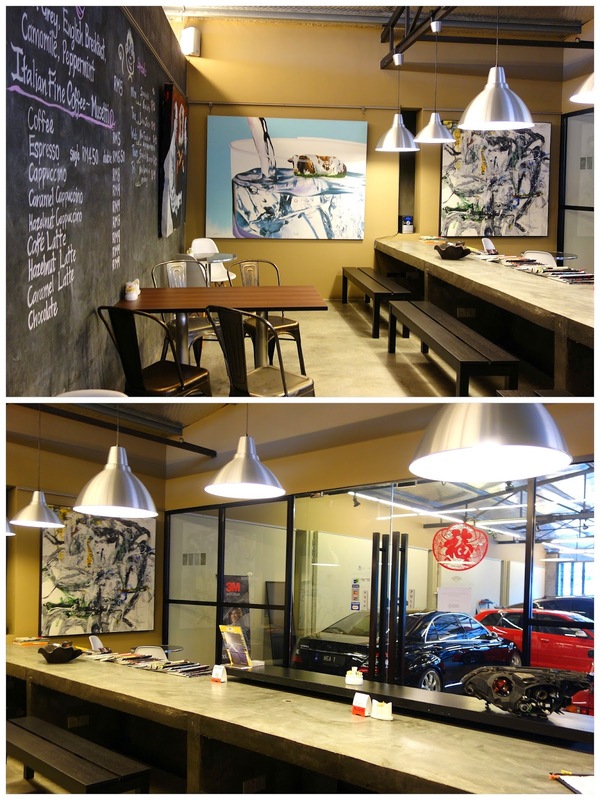 January 2015 Update: Monkey Garage has been revamped & is now a gastropub that serves pork. See here for details. 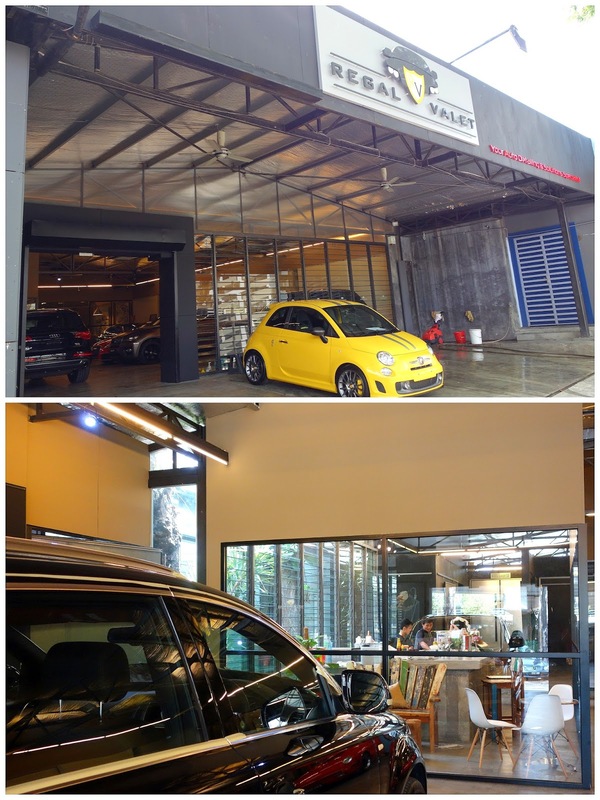 Thousands of motorists drive past Maarof's Regal Valet auto specialist centre everyday, but few might peer deep within & realise that something surprising has stirred here. Monkey Garage, yet another very friendly cafe, is partly inspired by Farah's travels _ specifically her visit to a cafe behind a train station in Zurich that served Swiss fare in a setting that seemed like a sanctuary for locals. The cafe serves daily specials _ come on Tuesdays, when a lip-smacking Laksa Johor is available, the straight-from-the-south recipe with spaghetti & creamy fish-&-coconut gravy (RM13.90). On Wednesdays, there's a supremely hearty nasi tomato & ayam masak merah (RM16), while Fridays are currently reserved for nasi lemak & rendang. Sandwiches are offered too, everything from butter gipfel stuffed with scrambled eggs (RM7) to pumpkin wholegrain ciabatta with hot beef salami & baguette with chicken & cheese. Note that not everything is always available; Monkey Garage is not operating at full capacity so far. 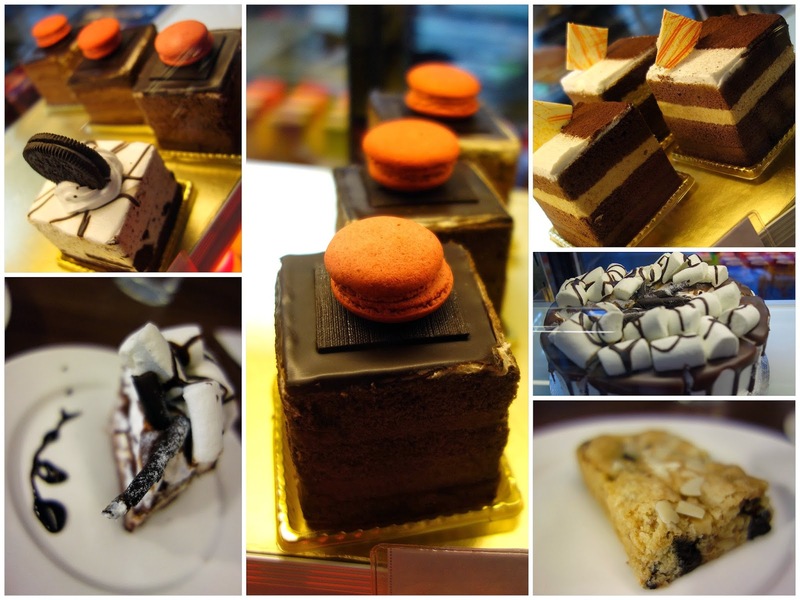 ... as well as milk chocolate cake with marshmallows, banana cakes & other confections to tempt the sweet tooth. Italian coffee, definitely drinkable. 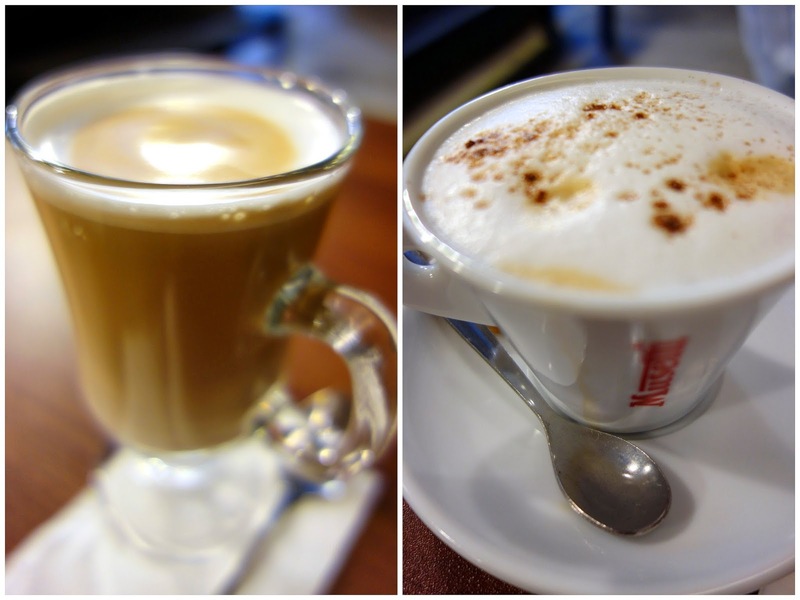 Lattes cost RM8 here, edging slightly toward the lower side of Bangsar's prices. Hot chocolate hits the spot on a rainy afternoon. All in all, we spent a very pleasant couple of hours here. It's a nice place, certainly worth a visit for folks in this neighbourhood. 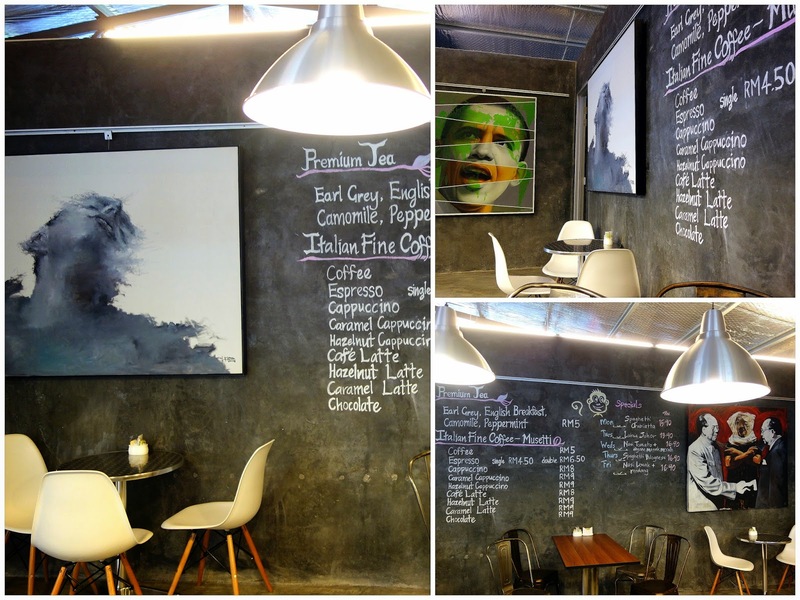 Part I of Bangsar's Hidden Cafes: PULP By Papa Palheta. Part III: Coming up tomorrow. 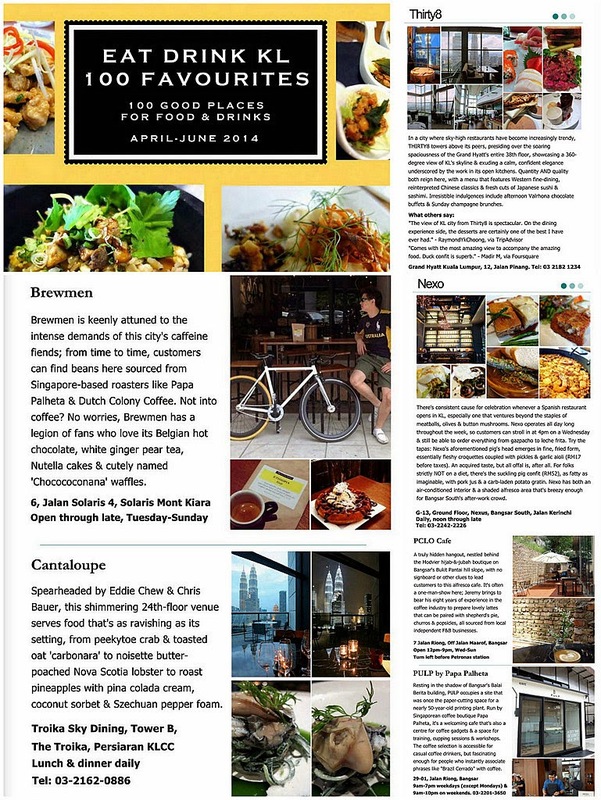 Also, take a look at the latest edition of Eat Drink KL: 100 Favourites, completely redesigned with a revamped look, featuring 100 recommended restaurants for April-June 2014, including more than 30 new entries for this quarter. This eBook is available to read or download at this link: http://eatdrinkkl.publ.com/Eat-Drink-KL-100-Favourites-Apr-Jun-2014 (The link expires June 30, 2014; see blog entries after that date for new link). Oooo...lovely looking sandwiches. They've a cafe in a car wash in Kuching - had one in Sibu a long time ago but I don't think it's still in business. Too many coffee shops all around, nicer and cheaper. Another cool cafe! Haven't had time to visit any new cafe yet, sad sad. Waaa....so long din drop by edi... How are you? Thanks Sean! 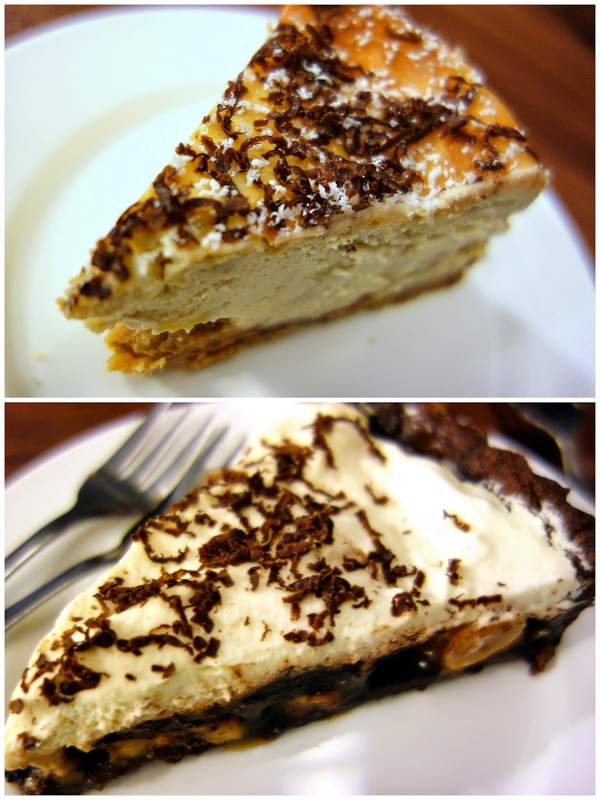 The cafe and the food looks great! Now what is a gipfel?? Never heard of that before!